When you purchase office furniture from Sandia Office Supply, we provide FREE space planning services to ensure you have a workspace that maximizes your space and improves productivity. Our professional space planners are experts in helping you best utilize your new furniture in the space that you have. With specialized training in state-of-the-art software, we are able to provide you with both 2-dimensional and 3-dimensional drawings of your ideal layout so that it’s easy to know how everything will fit and work in your space. By taking into consideration every component of your office space, we are able to create efficient designs that accommodate the unique needs of your daily operations. At Sandia Office Supply, we are committed to being your full-service office supply and furniture company. It is our goal to serve as your trusted partner in keeping your operations flowing smoothly and efficiently. Whether you’re looking for modern office chairs or classic computer desks, you can count on Sandia Office Supply to have the furniture you want—even discount office furniture. 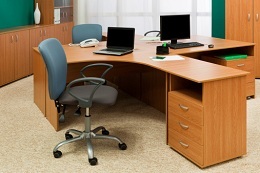 If you are looking for discount office furniture in New Mexico, please contact us. We’re happy to talk with you about the furniture and space planning options available to you. Call 505-341-4900 to open an account with Sandia Office Supply today!